Dynamic Industries is a highly acclaimed name among manufacturers and suppliers of superior quality PVC coated parts for clamping cables, hoses and various wiring in the cables. 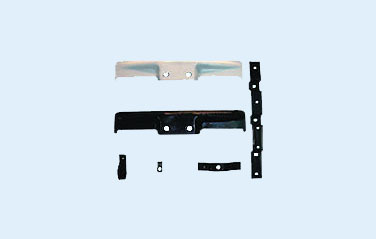 Our PVC coated parts have also found uses in brackets for water heater and geysers. Manufactured utilizing the latest technology and superior quality materials, our PVC coated products are known for their excellent finish, high performance, durability and trouble free service. We can provide our range of PVC coated parts in specifications as required by our customers.